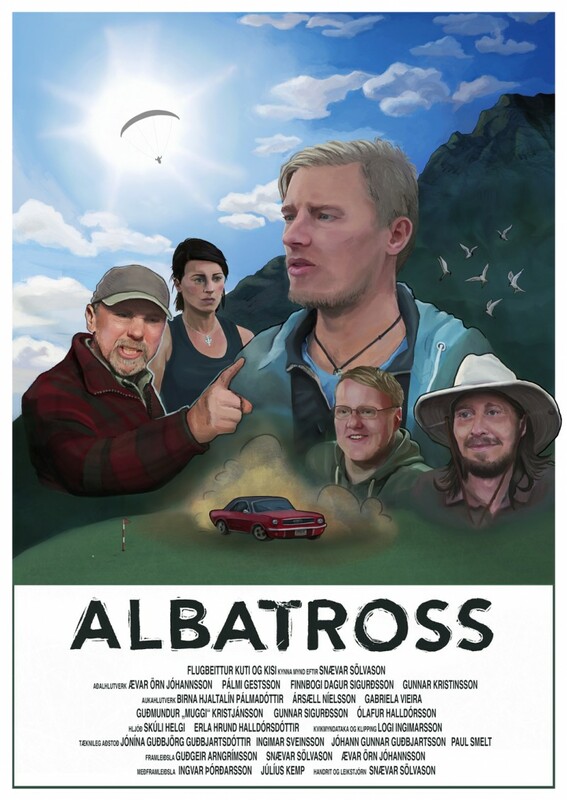 Let's get ALBATROSS in the cinemas! Myndin fjallar um Tómas sem er ástfanginn og ævintýragjarn borgarstrákur sem stefnir að nýjum kafla í lífinu með Rakel kærustunni sinni. Hann eltir ástina út á land og fær vinnu á Golfvelli Bolungarvíkur yfir sumarið. Það renna á hann tvær grímur þegar hann kynnist skrautlegum samstarfsmönnum sínum (þeim Kidda og Finna) og ekki tekur betra við þegar hann hittir Kjartan, yfirgengilegan yfirmann þeirra. Stefnt er á að fá stórmót á völlinn yfir sumarið og því öllu tjaldað sem til er. Tómasi líst ekki beint á blikuna en hvað gerir maður ekki fyrir ástina. Hann ákveður að taka slaginn en sumarið tekur aðra stefnu þegar óvænt áföll dynja yfir. 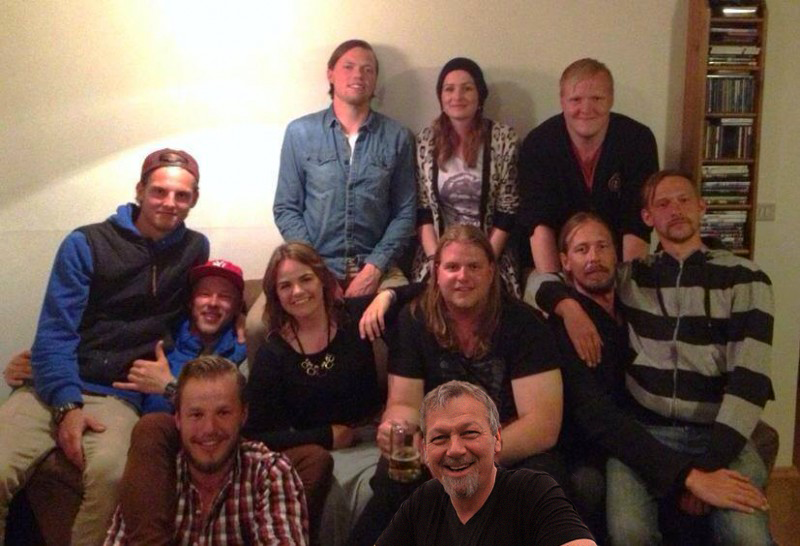 Hluti af crew-inu sem komu að ALBATROSS í wrap party. Aftast frá vinstri: Logi (tökumaður), Jónína (aðstoðartökumaður) og Finnbogi (leikari). Miðja: Palli (PA/catering), Ævar (leikari), Erla (hljóðmaður), Guðgeir (aðstoðarleikstjóri), Gunnar (leikari) og Ingimar (alhliða tæknimaður). Fremst: Snævar (leikstjóri og handritshöfundur) og Pálmi (leikari). Þetta hófst allt þegar Snævar var hálfnaður með námið sitt í Kvikmyndaskóla Íslands. Í stað þess að finna sér enn eina sumarvinnuna ákvað hann að láta draum sinn rætast, búa til bíómynd. Hann byrjaði að skrifa handritið og að því loknu safnaði hann saman skemmtilegum 10 manna hópi af hæfileikaríku fólki. Þegar handritið var tilbúið rukum við af stað í undirbúningsvinnu og þaðan beint í tökur. Með góðri samstöðu og ósérhlífni hópsins auk aðstoðar velunnara tókst okkur að klára tökur í lok júlí 2013.Þar með er þó ekki öll sagan sögð því við tók eftirvinnsla myndarinnar. Það var ekki hlaupið að því að ganga frá henni enda kostnaðarsamt ferli og buddan orðin tóm. Styrkir eru misaðgengilegir fyrir okkur sem erum ný af nálinni í þessum bransa og eftir ýmsar þreyfingar hér og þar höfum við ákveðið að leita til þín. Lokaspretturinn er hafinn en við komumst þó ekki alla leið yfir marklínuna nema með þínum stuðning og styrkjum. Ef þú sérð þér fært um að taka þátt í þessu með okkur þá verðum við þér ævinlega þakklát. Leikararnir spenntir að spá í spilin með Loga tökumanni og Snævari leikstjóra eftir töku á einu atriði. 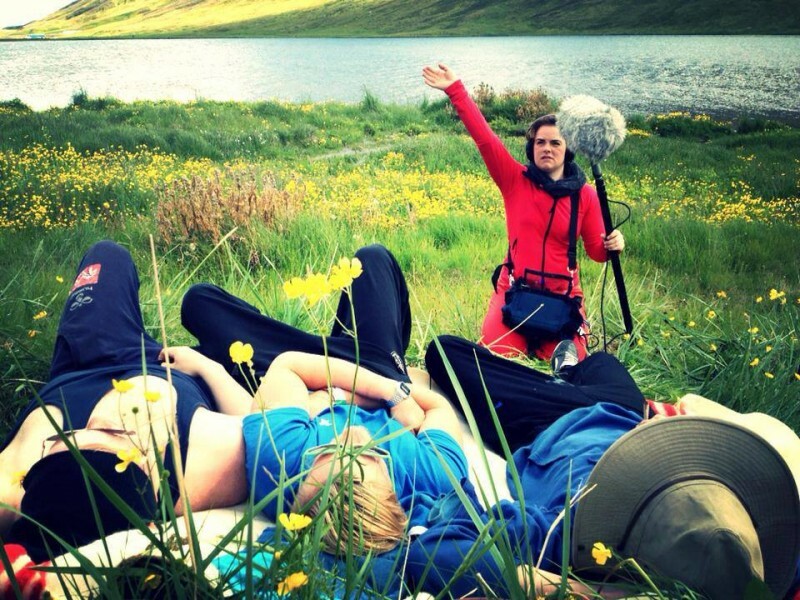 Það verður að duga með lítinn skjá þegar maður er með lítið fjármagn en svona er þetta á setti með lítið kózý crew, allir að vinna saman og er árangurinn eftir því. Hart mætir hörðu í einvígi þessara höfðingja! 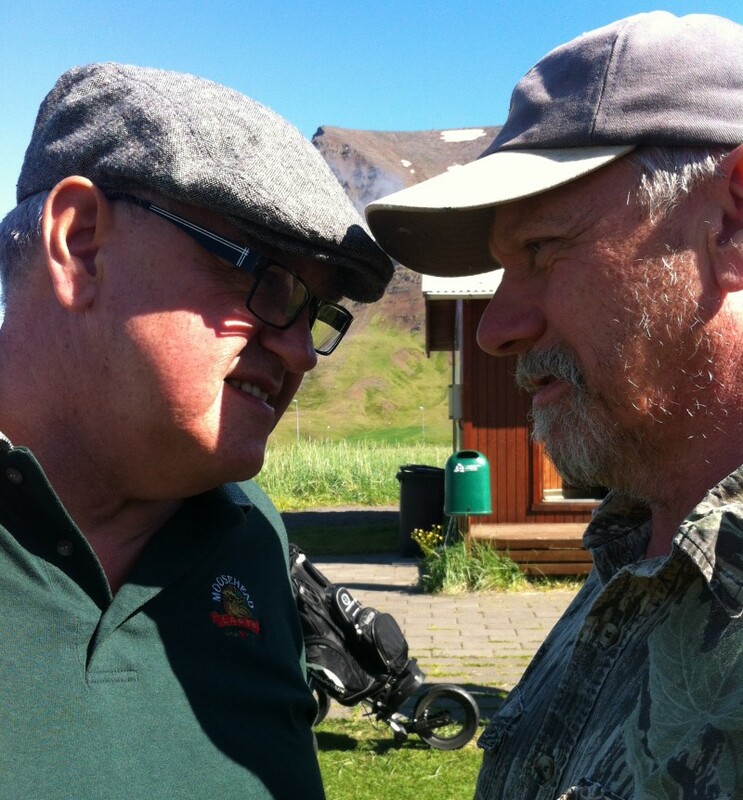 Þrándur (Guðmundur Magnús Kristjánsson, einnig þekktur sem Papa Mugg) og Kjartan (Pálmi Gestsson) eru erkióvinir sem elda grátt silfur saman í myndinni. Það getur verið ljúft að vera leikari og liggja í grænu grasinu á meðan tæknitröllin gera allt tilbúið. Hérna liggja Finnbogi, Ævar Örn og Gunnar í makindum sínum á meðan Erla er að veifa vindinum og vinsamlegast að biðja hann um að hafa sig hægan fyrir tökur á einu atriði. Hér sjáum við stillu úr myndinni þar sem strákarnir eru að skoða aðstæður til flugs upp á Bolafjalli. Tommi er að vega þetta og meta og Finni stendur með honum en Kiddi er með hjartað í buxunum og hættir sér ekki nærri brúninni. Útsýnið frá Bolafjalli er stórfenglegt og hermir þjóðsagan svo frá að á góðum degi sé hægt að sjá yfir til Grænlands og á heiðskýrri nóttu sést alla leið til tunglsins! Hér má sjá Kjartan í essinu sínu og Rakel, kærustu Tomma. Þau eru leikin af hinum þjóðþekkta Pálma Gestssyni og Birnu Hjaltalín sem er dóttir Pálma. Hún er hér að stíga sín fyrstu spor í kvikmyndaleik og hefur ekki langt að sækja leiklistarhæfileikana sem eru henni í blóð bornir. "Skjótt skipast veður í lofti" er eitthvað sem allir Íslendingar kannast við. Hér var kærkomin sól og því brunað í sundlaugarsenu og flestir sáttir við að fá smá lit á kroppinn. Veðrið var að mestu að leika við okkur yfir tökutímann og sumarstemningin er í algleymingi í ALBATROSS. F.v. Ingimar, Logi, Ævar, Finnbogi, Erla, Snævar og Guðgeir liggur á jörðinni að velta fyrir sér nýjum vinkli á næsta skoti. Hér eru Ársæll Níelsson og Gabriela Vieira í hlutverkum sínum. Ársæll leikur Þröst Örn sem er náttúruunnadi og mikill dýravinur og Gabi leikur hina suðrænu og seyðandi Maríu, fótboltastelpu frá Suður Ameríku. Riggað var upp einum glæsilegum grjótvegg fyrir tökur við fagurgrænu flötina á 8. holu. Golfarar voru svo ánægðir með hann að margir vildu þeir að hann fengi að standa eftir að tökum lauk. Í bakgrunni standa Ingimar og Snævar, stoltir af smíðunum. Hér fyrir neðan tekur við ensk lýsing á verkefninu. 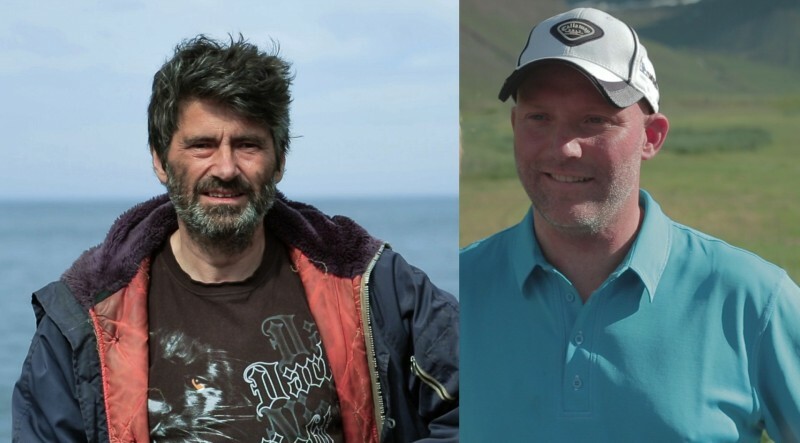 Hafir þú áhuga að fylgjast betur með ferlinu hjá ALBATROSS þá eru tenglar á alla okkar samfélagsmiðla hér ofar á síðunni þar sem við birtum allar helstu upplýsingar. Einnig ef þú smellir á ALBATROSS hvar sem þú sérð það skrifað í rauðum stöfum munt þú fara yfir sjálfkrafa yfir á áhangenda síðu okkar á facebook. 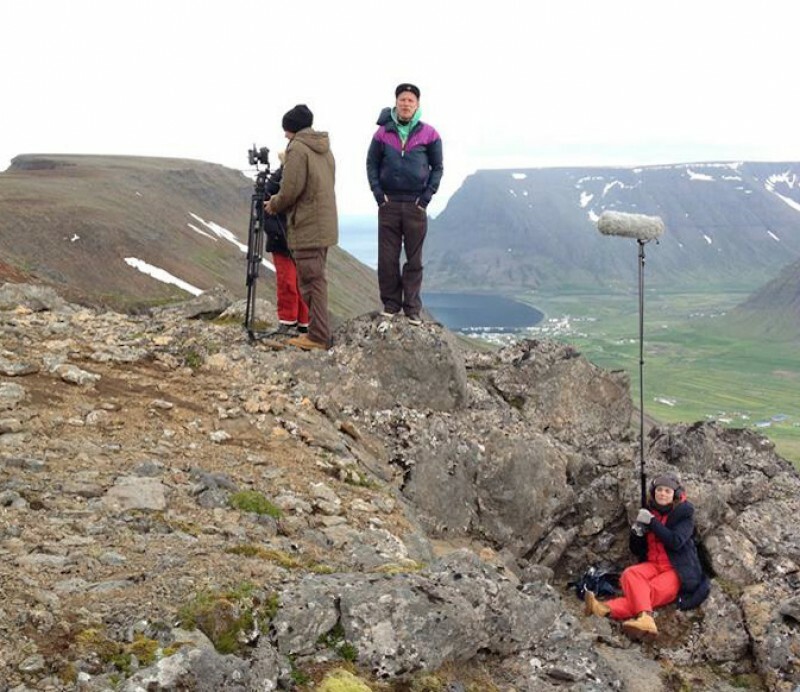 It all started when the director, Snævar, was half way through his studies at the Icelandic film school. In stead of searching for yet another summer job he decided to take mattes in his own hands and pursue his dream of making a movie. He began writing the screenplay and once it was ready he assembled a talented group of schoolmates and friends to start preparing the project. Shortly after we began filming. With perseverance and enthusiasm we managed to finish the production at the end July, summer of 2013. The story does not end there because next up was the costly post production and the money in our pockets had run dry. Access to grants is very limited for newcomers in the film industry and after numerous fruitless applications we now turn to you. We have come this far but we need your help to cross the finish line. Thank you for giving us your attention and we would be forever grateful for your contribution. With a degree in software engineering and a lust for adventure, big city boy Tommi has made solid plans for the future with his girlfriend Rakel. They decide to spend a summer in the Wild West-fjords of Iceland before going to the capital to start a life together. Things change quickly in the Wild West and before he knows it, Tommi has to rely on his colourful co-workers at the Golf Club in Bolungarvík to make it through the summer. That is easier said than done when they're dealing with an extremely demanding boss, nature at it's finest and aggressive wild life. The majority of the crew at the wrap party. Back row from the left: Logi (cinematography), Jónína (assistant cameraman), Finnbogi (actor). 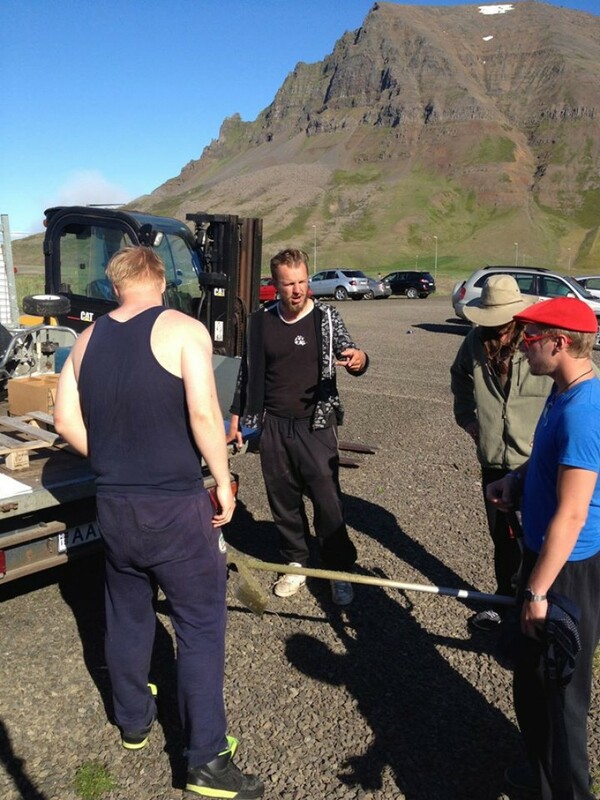 Middle: Paul (PA/catering), Ævar (actor), Erla (sound), Guðgeir (assistant director), Gunnar (actor), Ingimar (technician). Front: Snævar (writer/director), Pálmi (actor). Here is a little treat from the golf course, a natural set where a big portion of the film was shot. The technical staff is getting everything ready while the actors stand/sit and wait for the director to call out the famous phrase: "ACTION"! Here is a shot of the three amigos from a scene in the movie. Tommy, on the far left, has to rethink his future after disaster strikes in his personal life. That can be hard to achieve with all the interruptions from the unpredictable and crazy company he's stuck with at work. It's not always a walk in the park in this business and sometimes we were dealing with some difficult circumstances. Here we are shooting a scene on top of Bull-Mountain. Jónína and Logi are setting up the camera while Ævar is 'para-waiting'. Erla on the other hand has managed to find a cosy spot on the cliffs. Making sure everything is done just right. 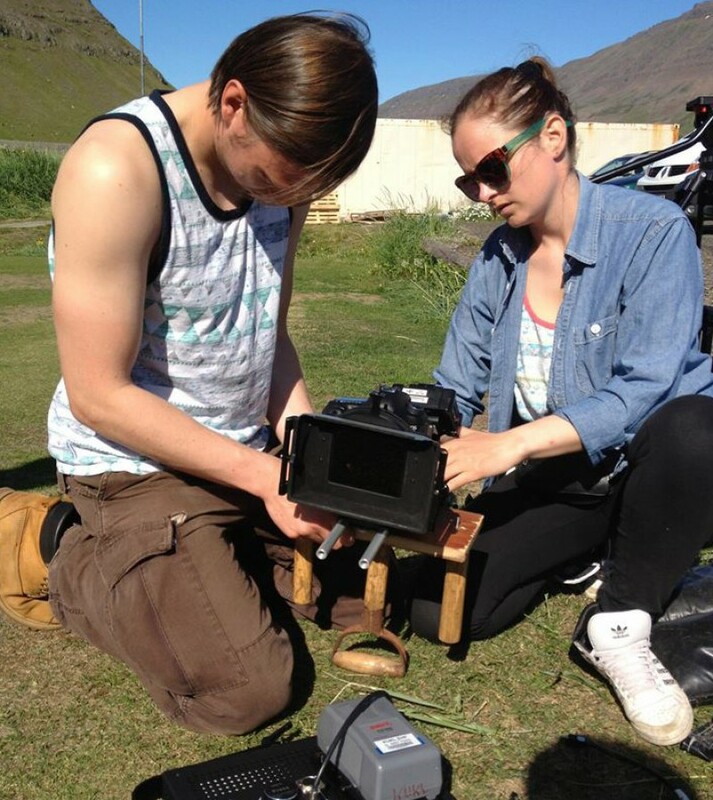 Here are Logi and Jónína mounting the camera on a home made steady cam. It pays off to be creative and inventive when you're on a tight budget. Bárður the wise and Oli the golfer. 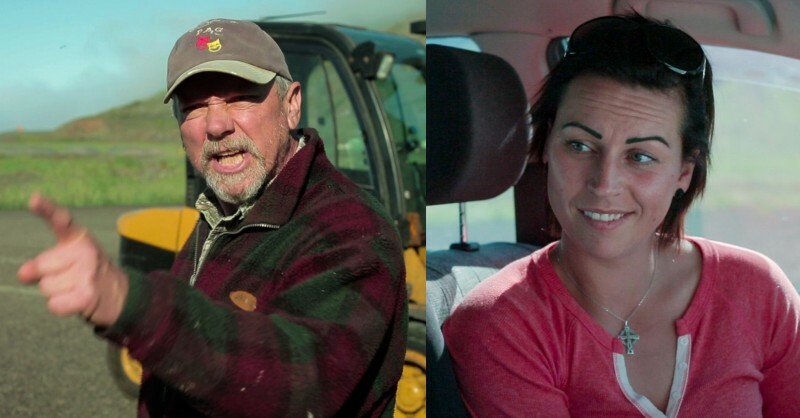 Two key characters in the movie performed by Gunnar Sigurðsson and Ólafur Halldórsson. It's good to have a director who knows what he wants. Vital to get good input to improve the performance and the project was in good hands under Snævar's supervision. Congratulations! You made it all the way to the bottom of the page. If you would like to know more about ALBATROSS and/or follow the progress of our little project we have our social media links up at the top. Or you could just click on the name ALBATROSS anywhere you see it in red and it will lead you to our facebook like page. Hope you enjoy what you see.